If you’ve ever lived in the Northeast (or anywhere cold for that matter), you know all of the thrills winter may bring – skiing, snow days, hot chocolate etc. But unfortunately, there’s also a flip side: cold drafts, zero humidity, and not to mention people tracking water, salt, and sand into your apartment. While buying extra blankets and foot warmers are one way to go about the cold, you can do some really simple things – like insulating drafty windows and investing in some winter bedding – that’ll go a long way in helping you and your friends feel comfortable even when the temps take a dive. If you’ve never lived in a cold place, not to worry. We’ve collected some pro tips for you to winterize your apartment and help you stay toasty all winter long. Draft guards aren’t something you’re likely to have in your vocab if you’re not from somewhere super cold, but that’s okay! We’ve got you covered. That gap between your door and the hallway, or your bedroom and living room may seem charming, but it can actually be quite a pain come winter with cold air sneaking into your pad. Draft guards are your solution. They’re like long bean bags that you put at the bottom of doors to keep the cold (read: drafts) out. Bonus? It’ll also help keep the noise out, so you may end up wanting to use them year round! While you can order them online, making your own is a nice DIY project that takes minimal materials and time. You’ll need some fabric, sand, zip lock bags, and about 30 min. We recommend checking out How Does She and The Little House in the City for some easy step-by-step instructions. In any event, this little fix only costs around $17 (~$5 if you DIY) and will save you a lot of sniffles later on. 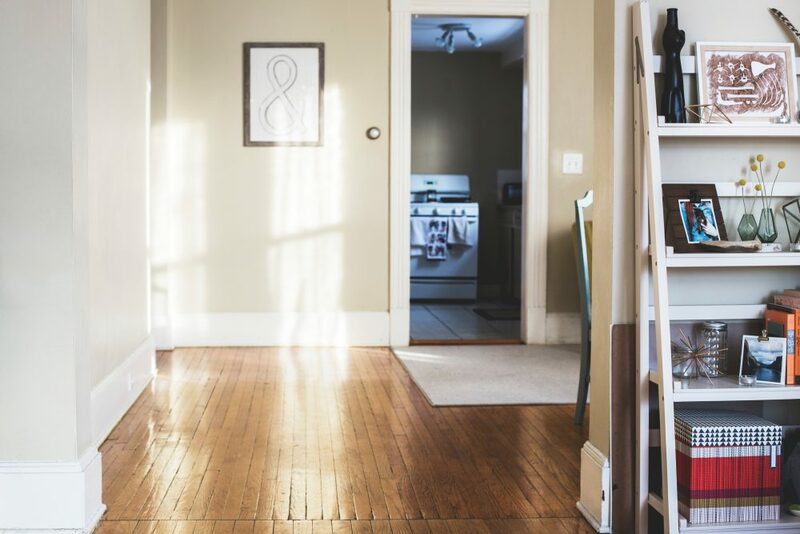 One of the most common things renters look for in an apartment is natural lighting (plus, it’s often a big selling point of most brokers and landlords). Unfortunately, that natural lighting can sometimes come at the expense of a cozy apartment in the winter. According to science, cold air doesn’t actually radiate in through windows; heat is lost when the energy of the warm air in your place goes into the window pane. 1. Try buying curtains made from heavier fabrics, or layering lighter and heavier curtains together. You could also purchase cellular shades which are amazing because they let sunlight in while keeping you warm! 2. Invest in a window insulation kit – it’s kind of like plastic wrap for your windows that you stick on with a hairdryer. While it keeps the cold out, you may want to double check with your landlord first to make sure it’s okay to install. 3. Make sure your windows are sealed. The panes aren’t the only part you need to worry about. If you have tiny cracks between your window and the wall, just fill it in with some caulk or rubber weather sealing that you can get from your local hardware store. Your inner decorator will be happy with this one. So that same principle of energy transfer we spoke about above? It also applies to your walls and floors. While you can use just about anything to slow down this energy transfer from inside to out, it’s advisable not to use furniture that you sit on to do so. 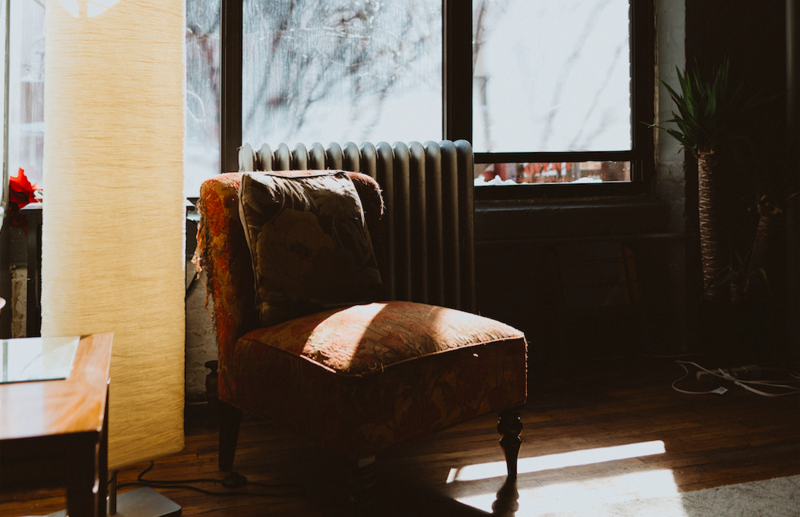 If you’re trying to stay warm, the best place to position furniture is slightly away from your walls or on the inner walls in your apartment. 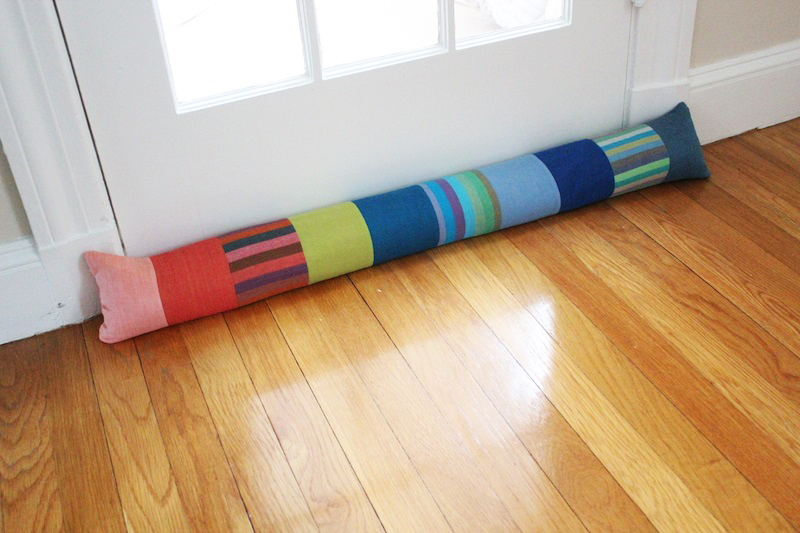 Also, that area rug you’ve drooling over, but your roomie doesn’t want messing up your Scandinavian, minimalist vibes? Consider getting it, especially if you have creaky floorboards. While this may seem charming, it actually means that warm air will be escaping come winter. 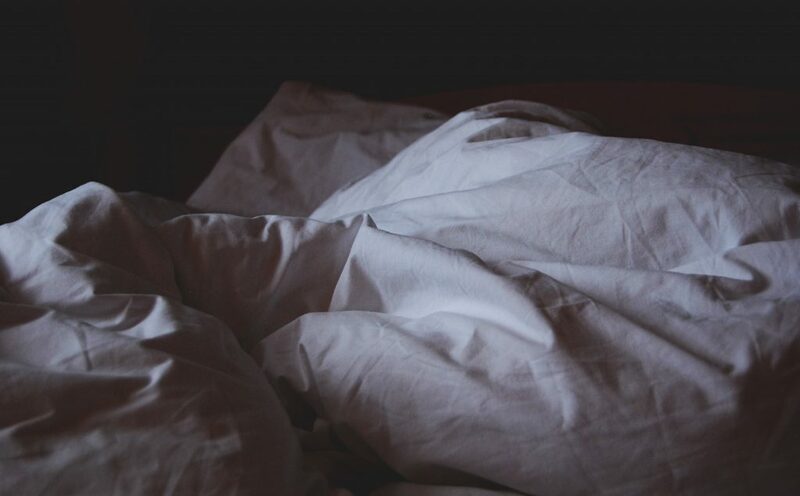 Again, less obvious to those of you in warmer temps, upgrading your bedding situation is one major way to make sure that you don’t feel the winter when you sleep. While summer is great for quilts and sheets, just adding on more blankets or throws for winter doesn’t cut it when the temps go below freezing. If you’re still feeling frigid, you may want to consider installing a canopy from heavy fabric as an additional layer of insulation between you and the cold. Pro tip: if you store your winter bedding in a closet or closed space, add cedar chips. It’ll help make sure everything is nice and fresh when you pull it out for next winter (and keep the moths away). Generally speaking, if you have all of these items and turn the heat down to around 60°F, you should be okay through to the morning – just make sure you have slippers lined up and ready to go when you wake up! Nothing is worse than getting out of a warm, cozy bed and putting your bare feet on a cold floor. So remember when you thought it would be really cool to host a New Years Eve dinner party for 20 of your closest friends while it was snowing outside? Well, chances are when you’re cleaning up the next day, the majority of your work will be dealing with the sand and salt that your friends dragged in from the streets. While sand and salt may help us avoid slipping on the sidewalk when it gets icy outside, it can create a real headache when making a cameo in your apartment. 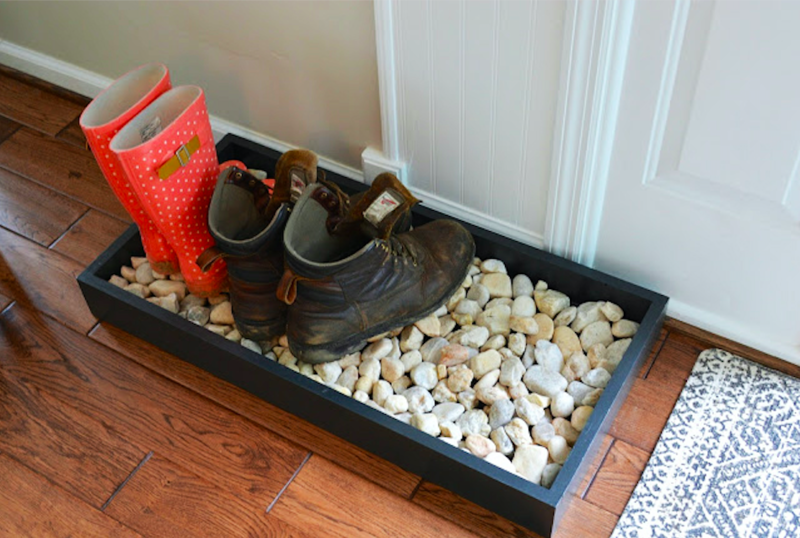 A pretty cheap solution is to invest in a boot tray and liner that you place either outside of your door or in the entrance of your apartment. The tray helps keep all of the mess in one place and off of your floors while the liner equals easy clean up (Monica would approve!). For this, you don’t have to invest the big bucks. Most home improvement stores, and even corner stores, will sell some sort of rubber tray between $10 – $50. You know that feeling when you wake up in the morning after a particularly cold night and you have a scratchy/dry throat? First off, some warm water and honey will do the trick. But, if you are looking for a more permanent solution, you may need a humidifier. Humidity drops in the winter because cold air hold less moisture than warm air. That means maintaining the right level of humidity in your apartment during the winter months is important for your skin, throat, overall health, and even the health of your stuff. Did you know that if humidity levels dip too low, your furniture can get ruined and certain germs are able to thrive? (Apartment Therapy) Yikes is what we have to say to that. There’s a free, DIY option to fix low humidity… and a more expensive one. The first is to add moisture to your place naturally. 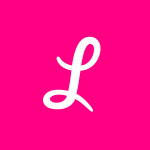 Have a load of laundry that you were just about to put in the dryer? Think again. Pull out a drying rack and hang-dry the clothing inside of your apartment instead. Water molecules evaporating into the air as your stuff dries act as a natural humidifier. 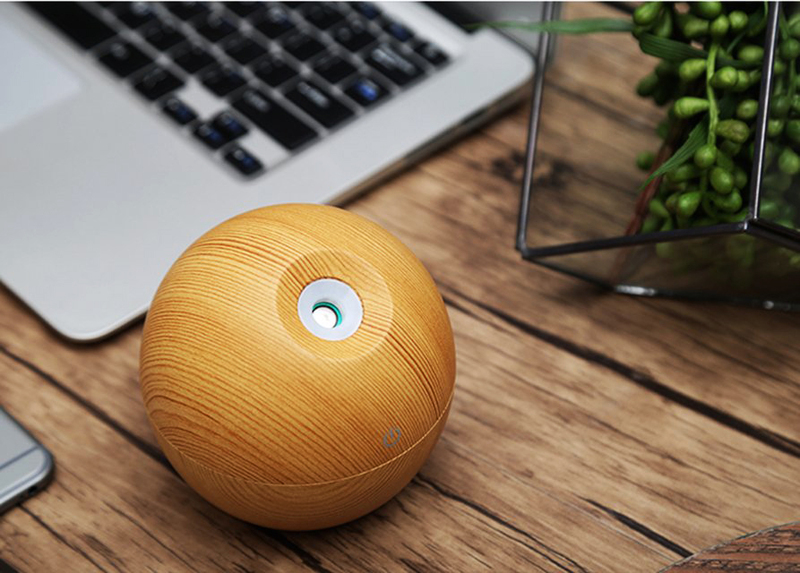 Another route to go is to purchase a portable humidifier. There are actually a lot of nice-looking and even high tech options these days that won’t take up too much room (or break the bank). Calling this anything else just seems kinda silly. We’re not here to scare you or make you feel like you need to prepare for the apocalypse. That said, it never hurt anyone to be prepared, especially for weird, random weather events like nor’easters, bomb cyclones, or just super strong blizzards. All of this can be packaged up and easily stored under your bathroom sink or in your closet, taking up just a little bit of space for a whole lot of peace of mind. You’re the Wonder Woman of winterizing apartments, so now what? Go forth and have a warm, cozy winter! 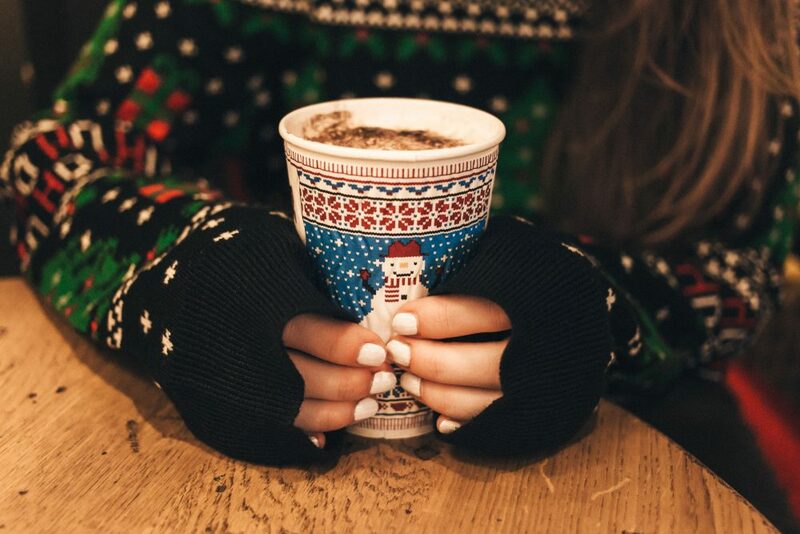 Prepping for winter isn’t just about stocking up on hot cocoa. Here’s everything you need to get your place ready for winter storms.